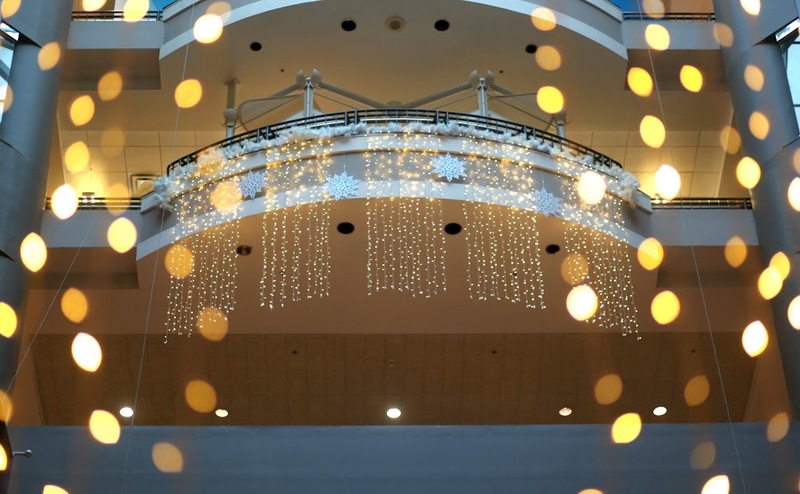 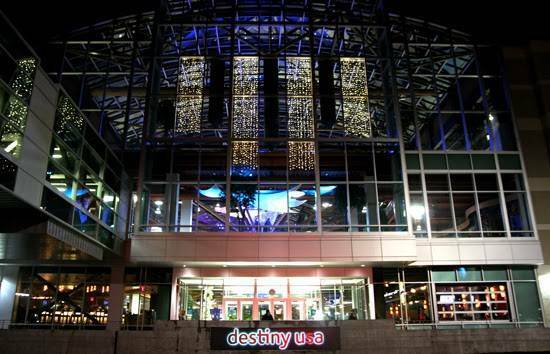 In 2012, we created a holiday décor package for Destiny USA, the 2,450,000 sq. ft. six-story super-regional shopping and entertainment complex in Syracuse, New York. 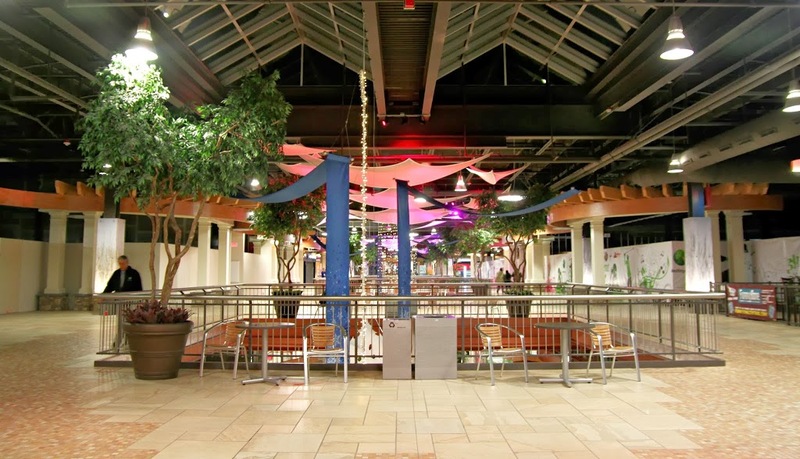 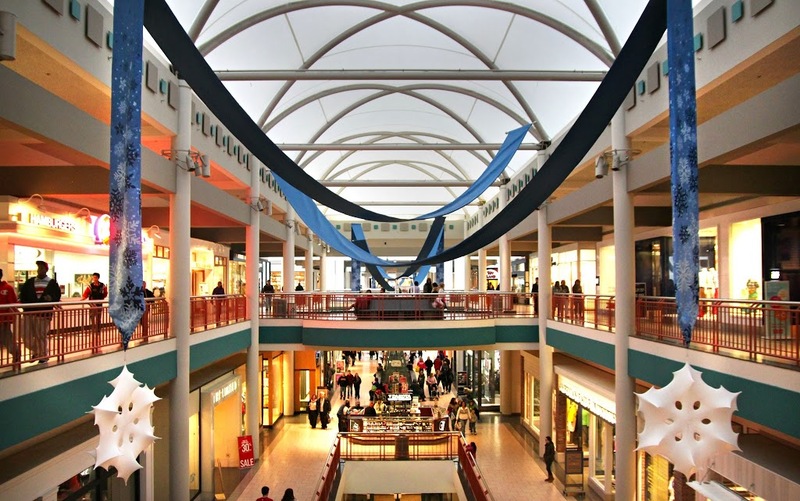 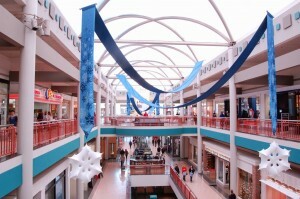 The mall is the 6th largest in the entire United States. 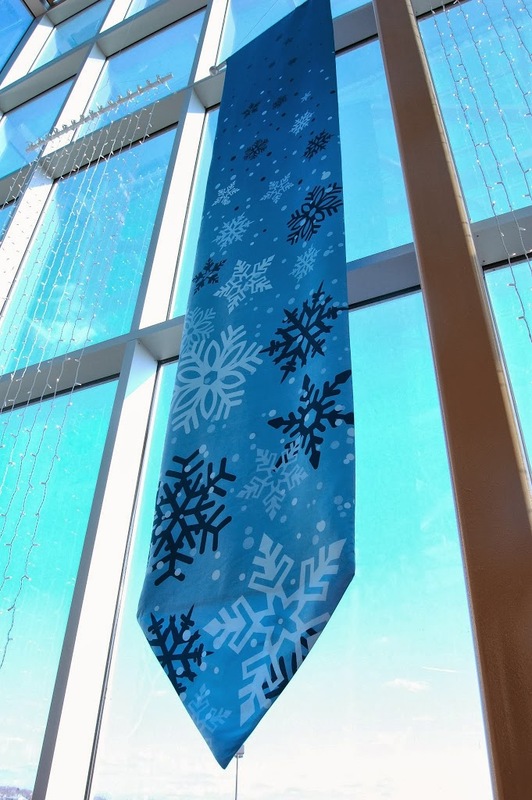 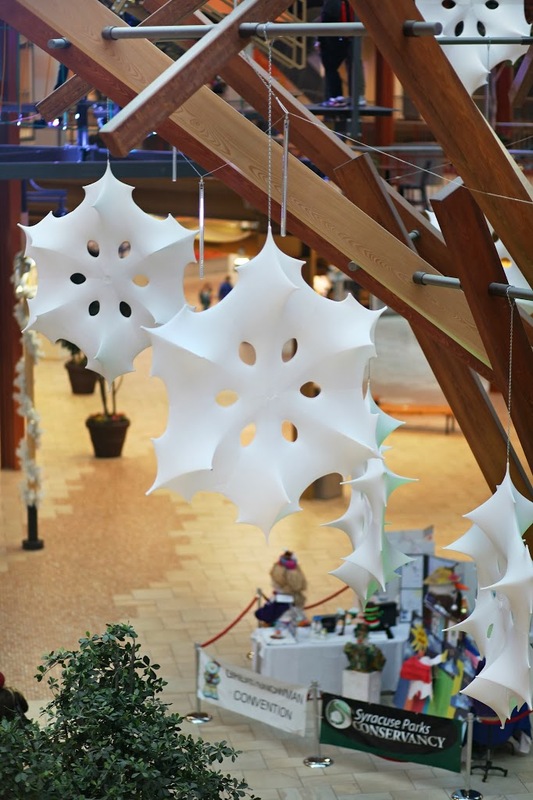 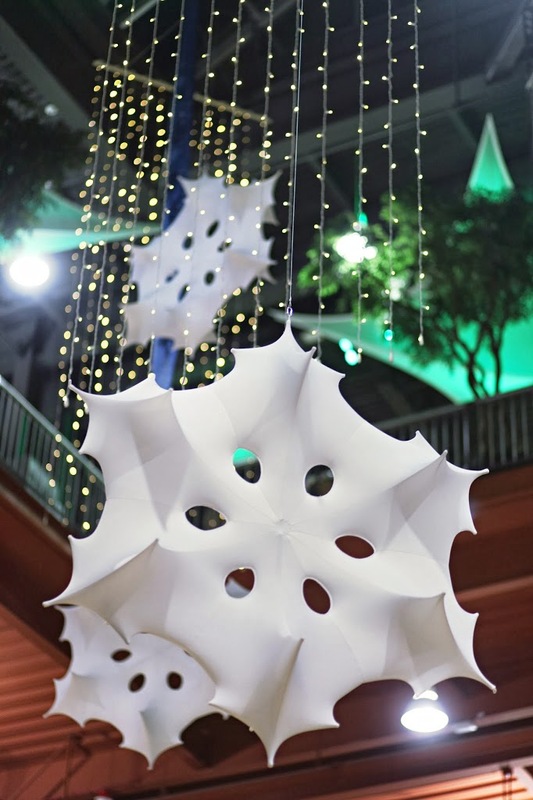 They wanted to keep the decorations up past Christmas and through the winter season, so our designers came up with a snowflake theme that could be displayed from November to February. 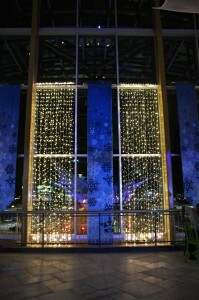 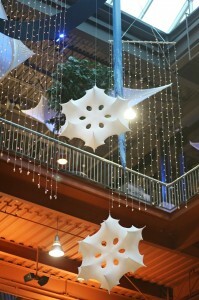 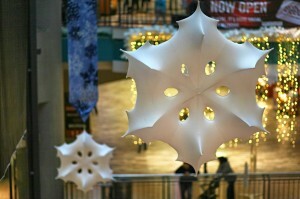 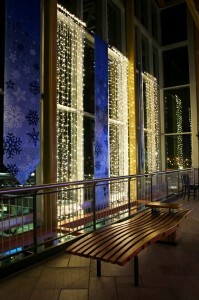 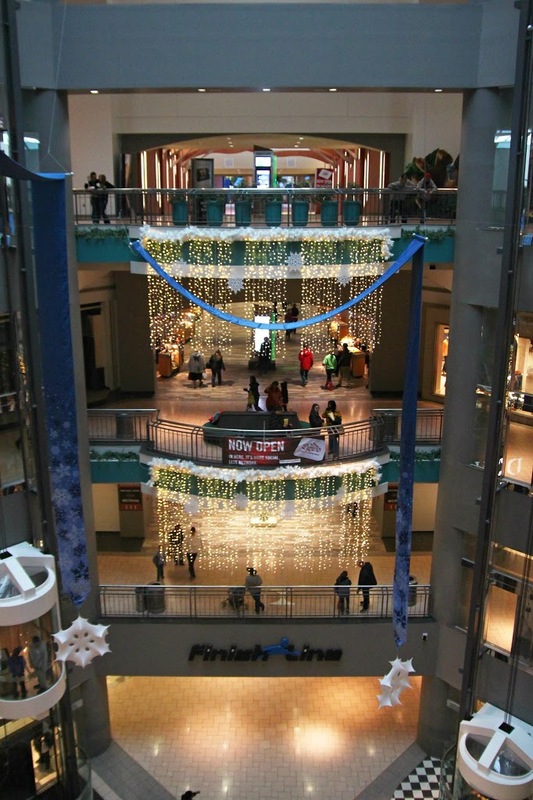 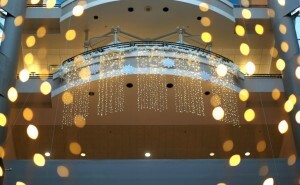 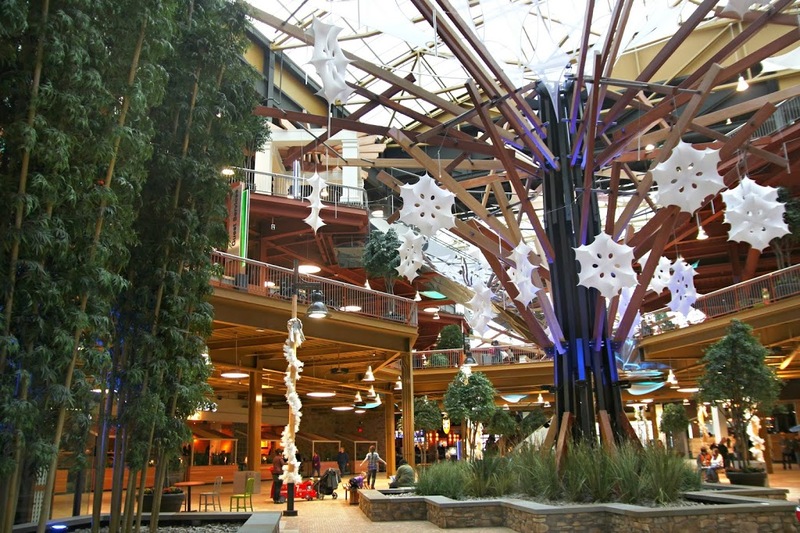 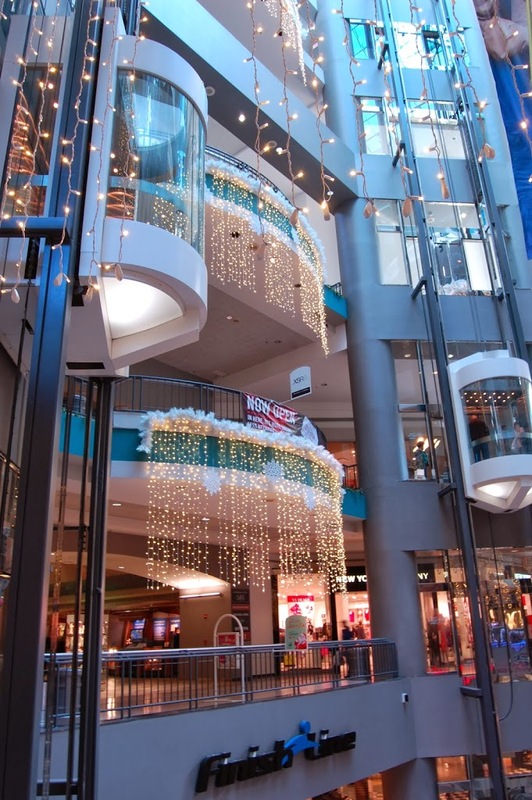 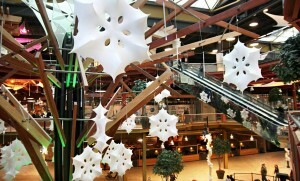 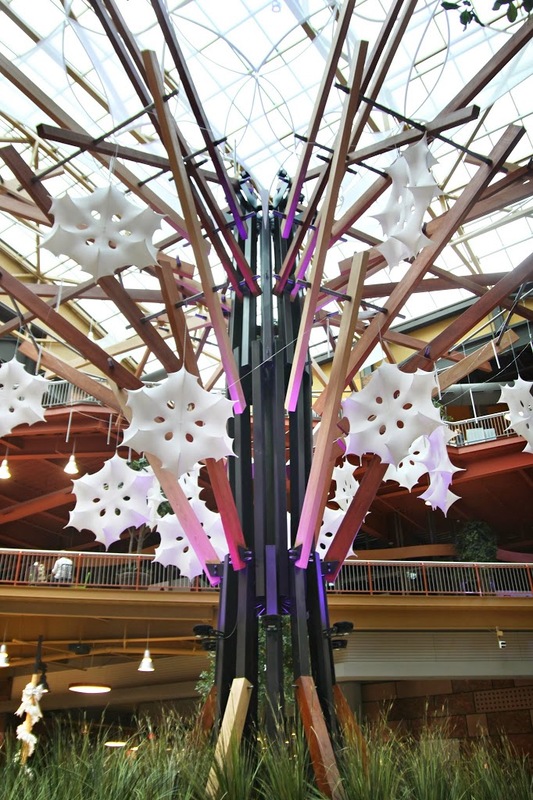 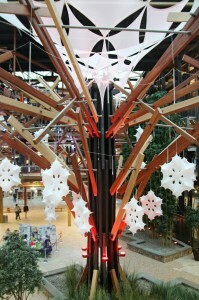 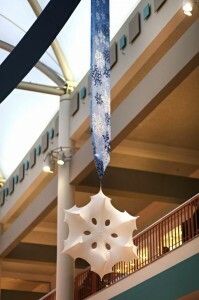 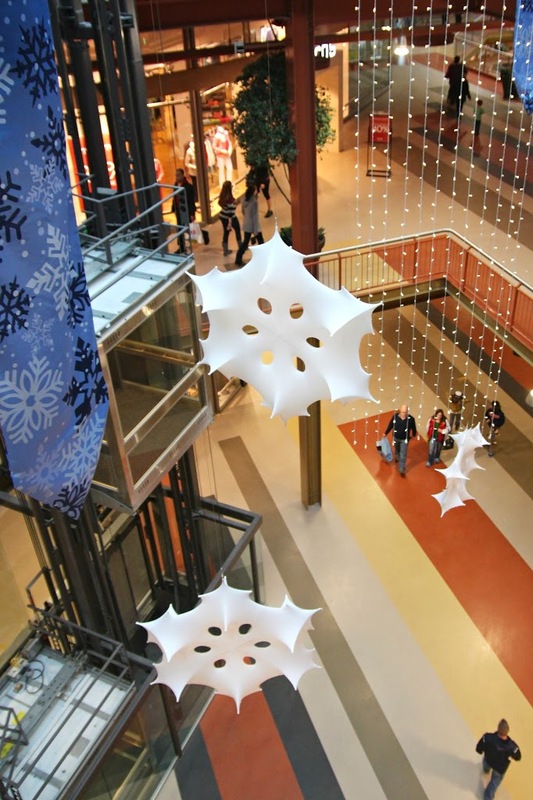 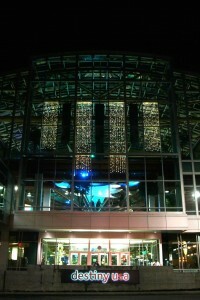 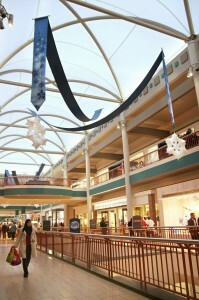 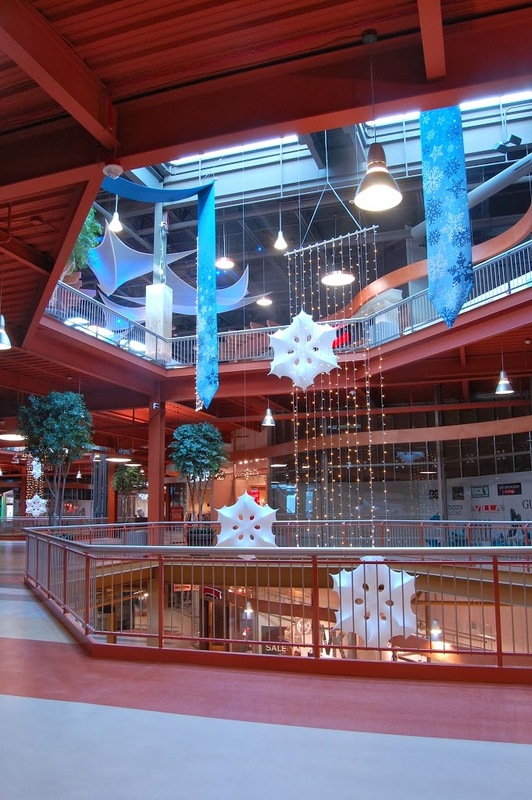 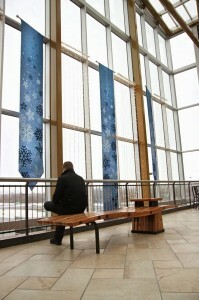 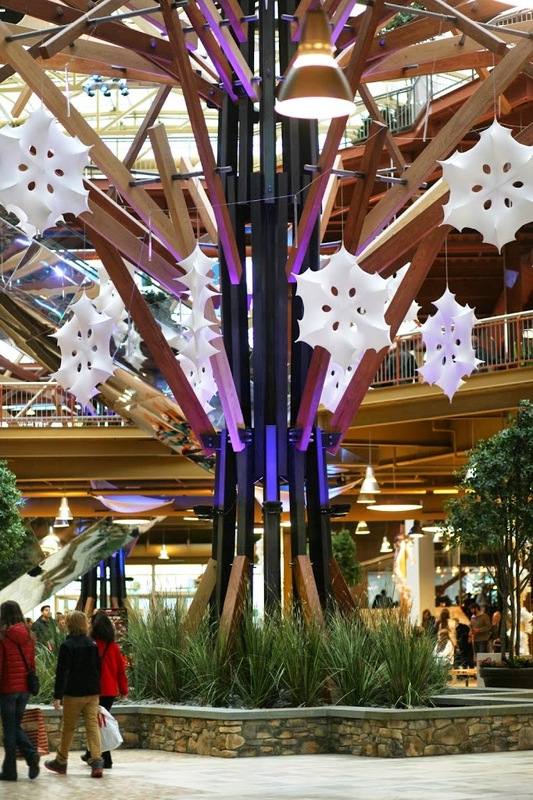 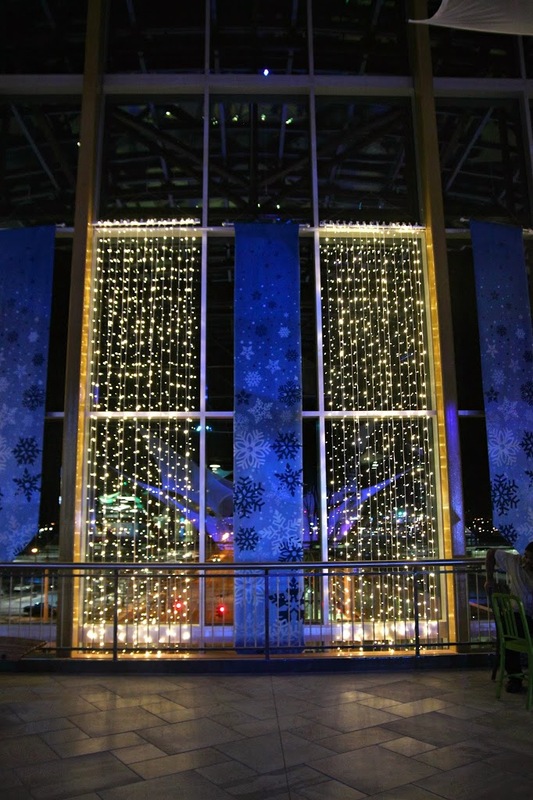 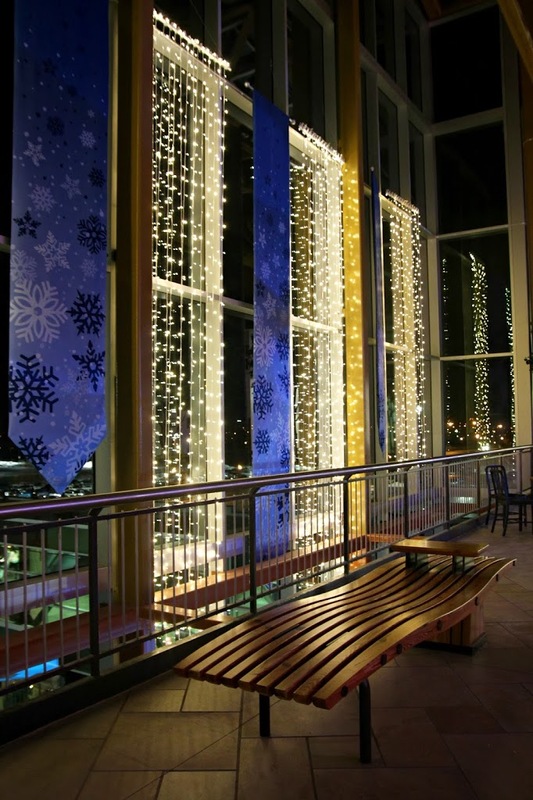 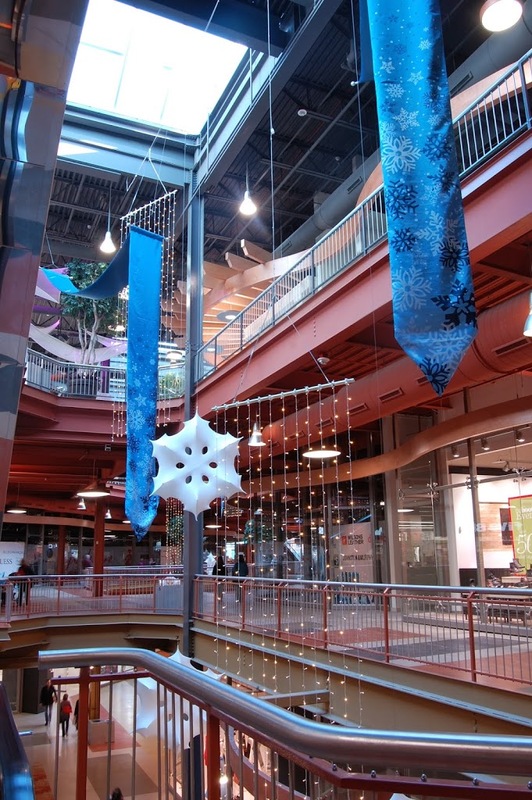 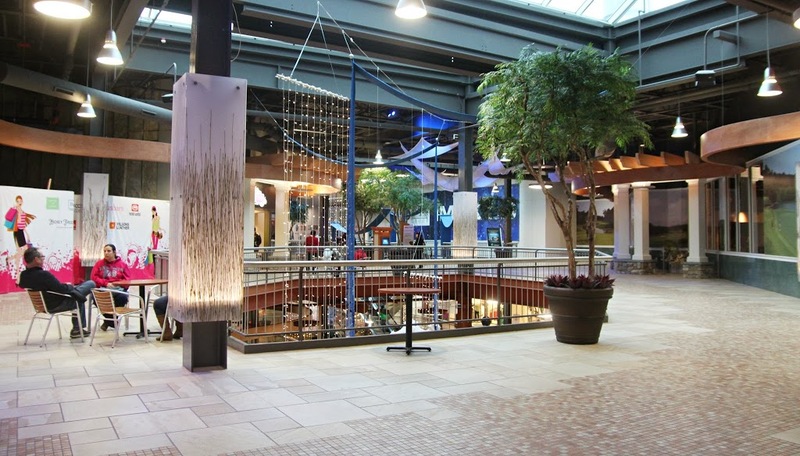 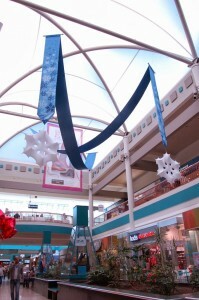 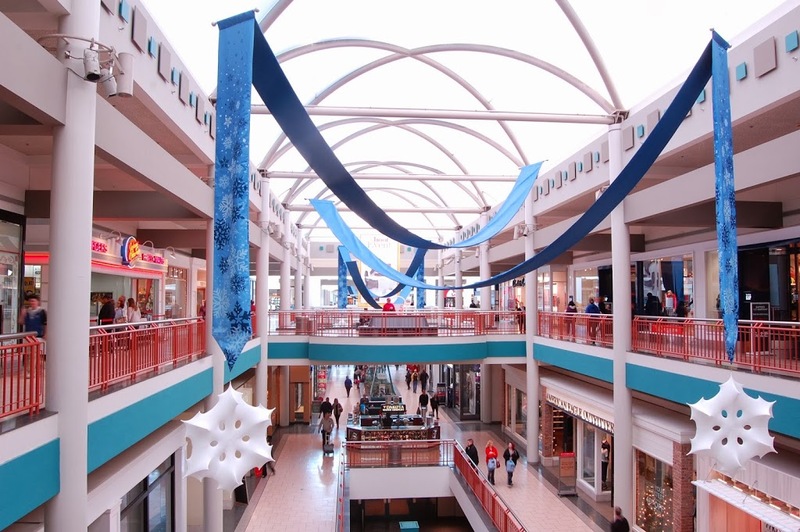 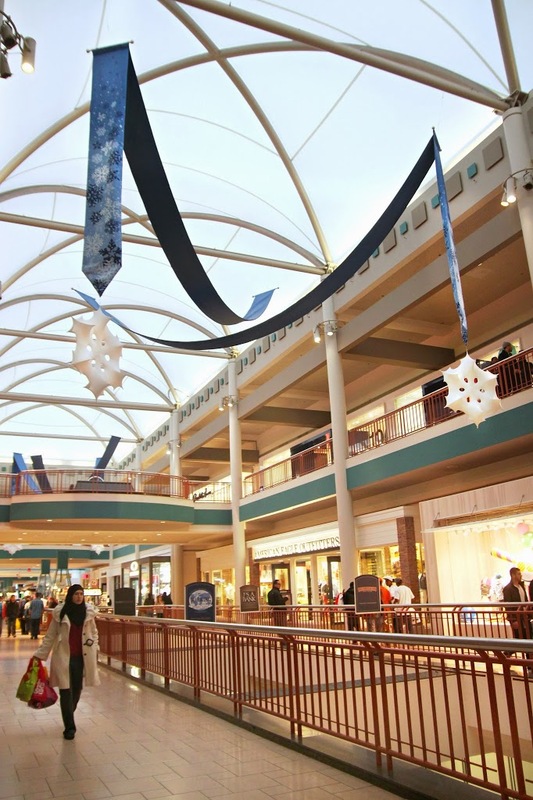 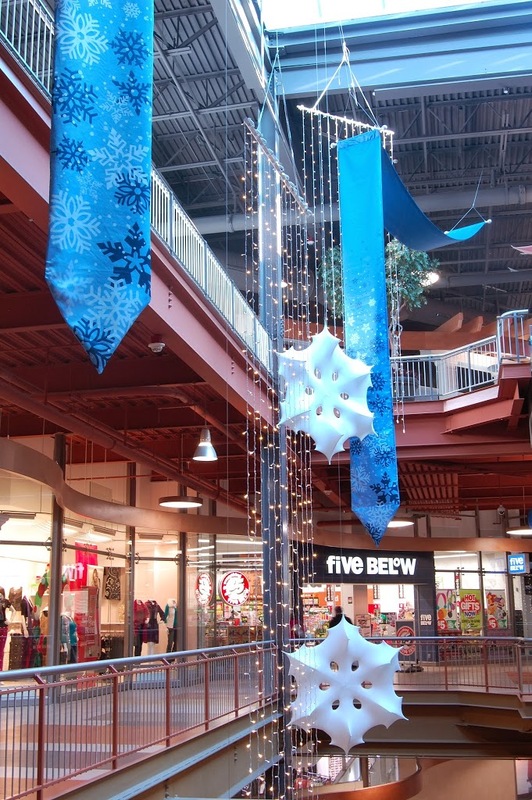 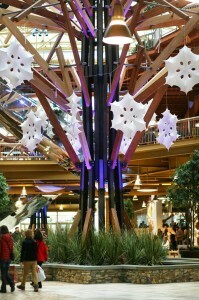 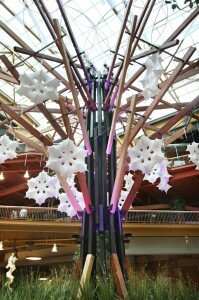 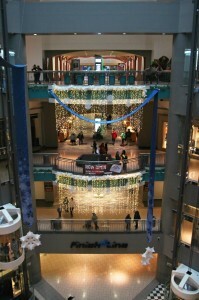 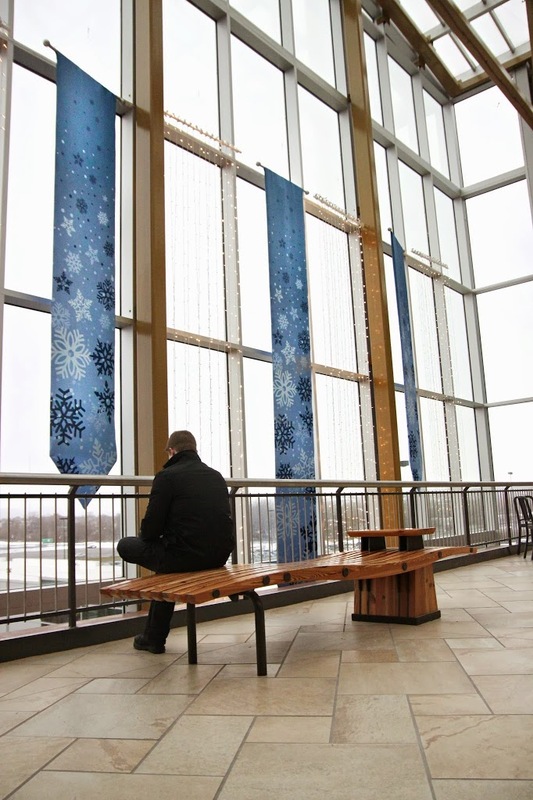 The design features large hanging snowflakes, white pole wraps, and beautiful blue banners and light curtains throughout the shopping center. We also created an area where people can visit Santa during the holidays. 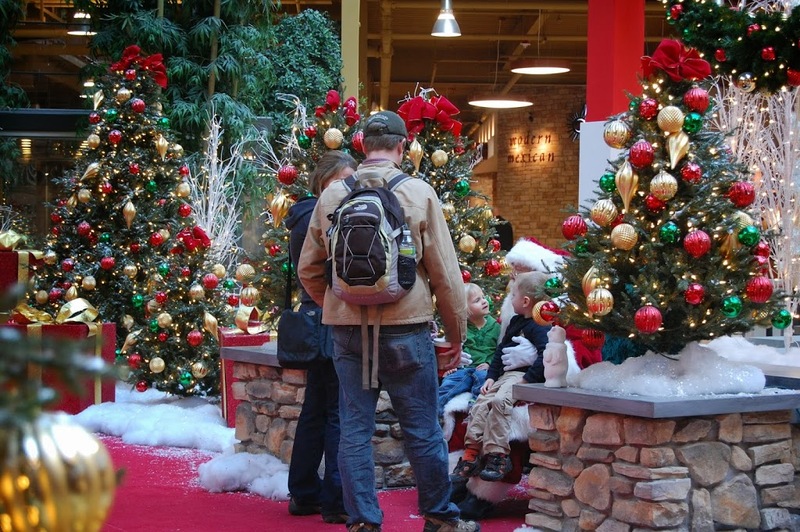 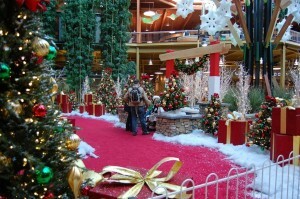 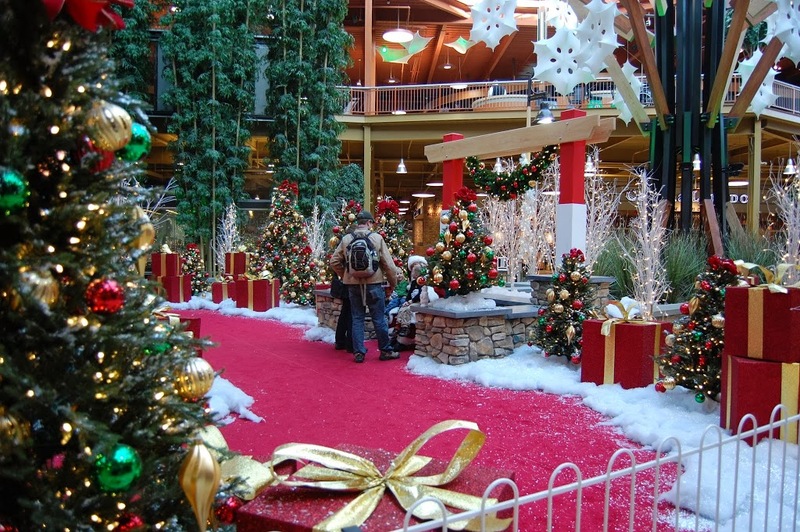 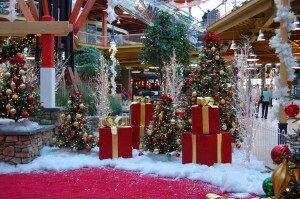 This area features a large red carpet, box decorations, trees with lights and ornaments, and artificial snow. 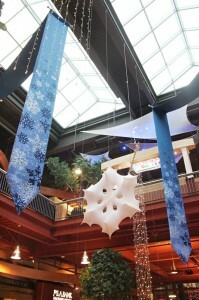 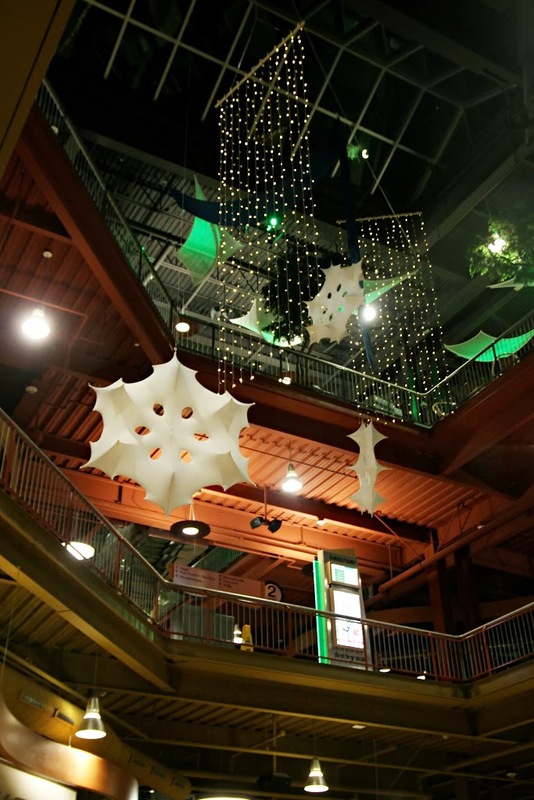 To check out more photos of the snowflake theme and the “Santa Reception Area” at Destiny USA, click on the read more button.